Markets are crashing to 30-year lows. Elites are panicking, stunned by the gall of the U.K. ignoring their warning a vote for Brexit would, for all intents and purposes, be the end of the world as we know it. Prime Minister David Cameron stunningly tendered his resignation. Breaking ties with the European Union the people apparently felt no longer served a purpose — perhaps not wanting more of that world we know — and France, Italy, the Netherlands, Scotland, and even Northern Ireland might not be far behind. With a voter turnout reportedly exceeding 72 percent, Brexit won by 51.9 percent. Perhaps that marriage of economies and politics will carry on — or perhaps other nations, as noted above, see the perils inherent in such a globalized, centralized governance and seek their own sea legs in the coming months and years. Cameron’s equally shocking decision to resign further complicated matters for the soon-to-be independent Britain, instantly sparking a race for the next leader — with London Mayor Boris Johnson, who had campaigned in favor of the Brexit, appearing the most likely to win the role. Of course, the Brexit undoubtedly struck terror in the hearts of the global elite — Soros, Rothschild, BlackRock, JPMorgan Chase, and their ilk — who warned a split from the E.U. would send markets crashing in a free fall. Prior to the vote, they initiated a campaign of fear — an attempt to scaremonger the common man into staying with the Union, no matter what. Now, the British Black Friday has come to pass, indeed — but for over half the populace, swiftly slumping markets are a small price to pay for independence. As they wait out the official exit from the E.U., the interim might, indeed, be financially grim. But they can proudly declare the fact they weren’t cowed into a decision by banking elitists they did not otherwise find appealing. 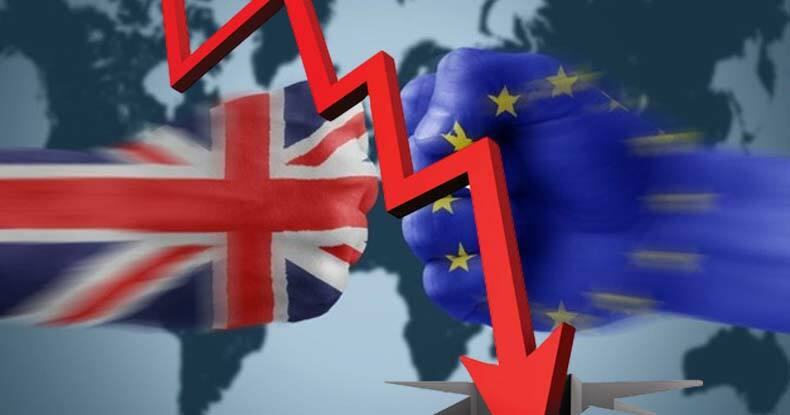 While the Brexit is final, and preparations for the official parting of ways will now be underway, crashing global markets — the British pound fell over 10 percent beginning Thursday night — are a developing story with repercussions that won’t be fully felt or understood for some time.